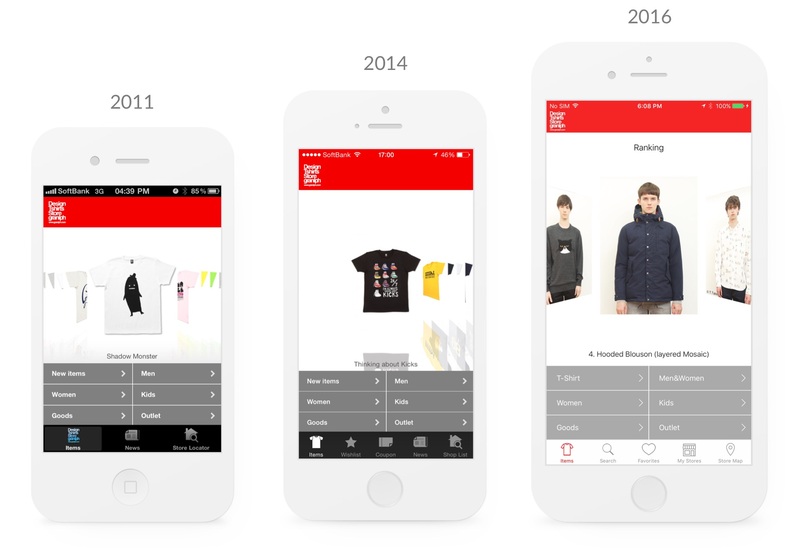 iPhone and Android apps with custom API server for Design Tshirts Store graniph – Japan’s art apparel pioneer, with over 80 stores in Japan and throughout the Asia-Pacific region. 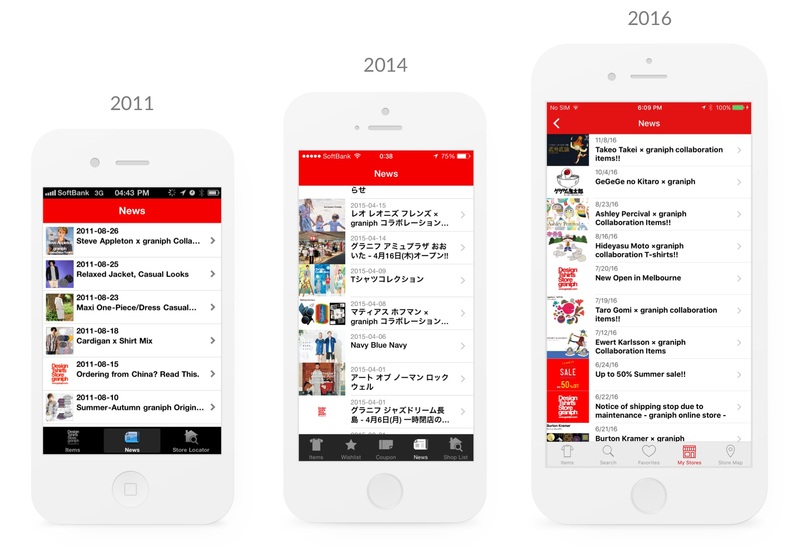 graniph (lower-case ‘g’) wanted a way to showcase its super-fast-fashion to the always-mobile Tokyo shopper, in the process driving customers to its online and physical stores. 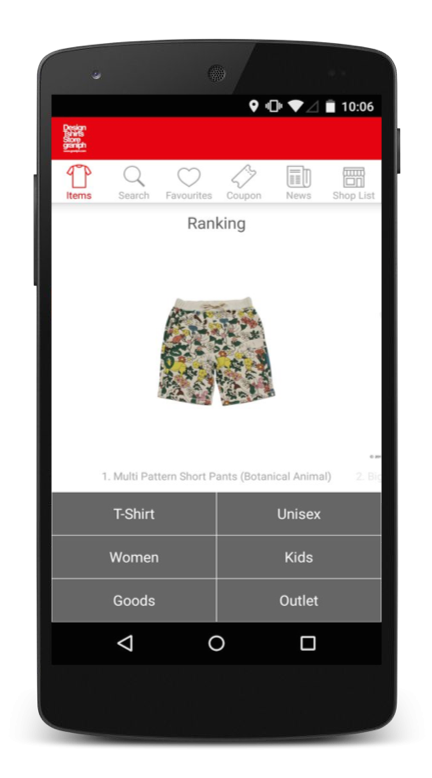 The result was one of the first apps from a leading apparel brand in Japan – a dynamic, extensible content delivery platform. Tacchi worked closely with graniph’s in-house online services team and third-party e-commerce provider to create an app which interfaces with the existing e-commerce system to display daily new releases, existing inventory, news and promotions, and a map and list based store locator. Building close and long term relationships with our brand partners is hugely important to Tacchi. We maintain and support the app, and continue to collaborate with graniph to improve it. We also consult for them on a wider range of technology and design issues, enabling them to plan for the future.Future directions focus on enhancing customer engagement, closer integration between graniph’s various systems and processes, online-to-offline shopping experience, and brand awareness. Design and development for iOS and Android including app structure, view layout, UI animations, usability testing and use case studies. Building a custom API server to act as the go-between for the apps and graniph’s eCommerce platform. This includes custom push notification handling to notify customers about new coupons for stores near them. Downloading and caching the image data for the products at high speed while maintaining responsiveness. Google Maps integration including displaying distances/walking times from the user’s location to the nearest store. Let's talk about working together! Tell us a little about your business and what you'd like to achieve. We'll be in touch to follow up as soon as we can!